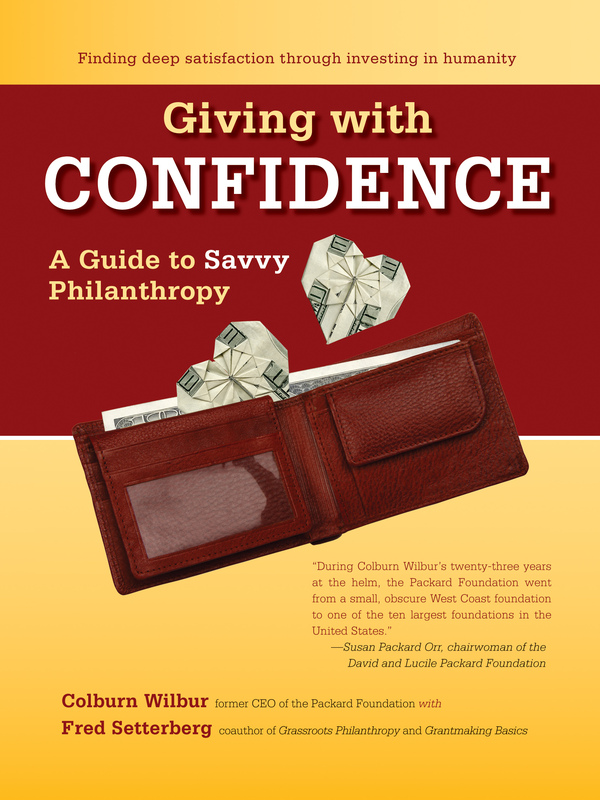 We are pleased to share an excerpt from Giving With Confidence: A Guide to Savvy Philanthropy, a new book by PVF Board Member, Colburn Wilbur. When I was starting out in philanthropy, few options existed for professional development. Of course, I read everything I could get my hands on. But to tell the truth, there wasn’t much. Today the person who wants to learn about philanthropy faces a very different situation. Every publishing season brings another shower of weighty tomes. Meanwhile, there’s a near-constant deluge of scholarly articles, opinion pieces, blog posts, scathing critiques, and hopeful suggestions scattered about in print and pixels. You can’t read them all. You don’t need to try. These days, an immense degree of cogitation is devoted to management theory, world historical analysis, dueling dialectics, and the minutia of various giving tools. That is, the theory and practice of giving. The business. Which is fine. Up to a point. But I think a serious donor needs first of all to immerse himself in the nature of the problems he hopes to address. If you’re interested in drug treatment, homelessness, or the crisis in public education, then devote study time to an excellent journalistic account of what’s happening in our country right now. The authors of the best topical nonfiction spend years investigating their subjects, frequently dispelling conventional wisdom with accurate on-the-ground reporting. Think about Alex Kotlowitz’s There are No Children Here which traces the lives of poor kids growing up in Chicago’s housing projects; or Anne Fadiman’s remarkable portrait of an immigrant family’s clashes with the public health system in The Spirit Catches You and You Fall Down; or Lonny Shavelson’s groundbreaking work on drug rehabilitation, Hooked. Each of these books required total immersion in the subject. As a result, they provide far more insight and context than you could hope to collect on your own. What’s more, they’re engrossing good reads. You might even experiment with reading two or three accounts of an issue from contrasting points of view. It’s healthy to shake up your thinking now and then, particularly with the subjects that you think you have mastered. Still, there eventually comes a time when you must put down your book, fold up your journal, click off the computer – and start talking to people. I stress this point because in our incessantly wired world, we tend to overlook human encounter as a deep, verifiable source of understanding. So where do you begin? How do you separate valuable life lessons from well-meaning rambles? Who’s the right individual for you to meet at this moment? Early in my career, I was fortunate to have friends working at Stanford’s development office who provided wise counsel. Over time, I met a number of keen-sighted trustees and program officers employed by the foundation world, both in the Bay Area and beyond. I peppered them all with questions. Whenever I felt besieged by uncertainties, I reached out – at conferences, in foundation hallways, over the phone. I was uniformly treated with generosity and encouragement. Still, I always hungered for more information, contrarian viewpoints, and new directions. Wherever I could locate another wellspring of wisdom and experience, I drank as deeply as my own capacities allowed. The need for colleagues never ends. I’ve been working in philanthropy for most of my life now, and I’m probably more attuned today to the counsel and challenges of my peers than I was starting out. In the company of others, we get an opportunity to reexamine our plans and perceptions with fellow givers and determine which are relevant in the calculus of our personal philanthropy. We can make certain that our decision-making isn’t conducted in a hall of mirrors. We lose some of the loneliness that seldom gets spoken of in philanthropy, and move closer to the shared enterprise that can be the heart of giving. Colburn Wilbur is a trustee of the David and Lucile Packard Foundation, where he was the CEO for twenty-three years. 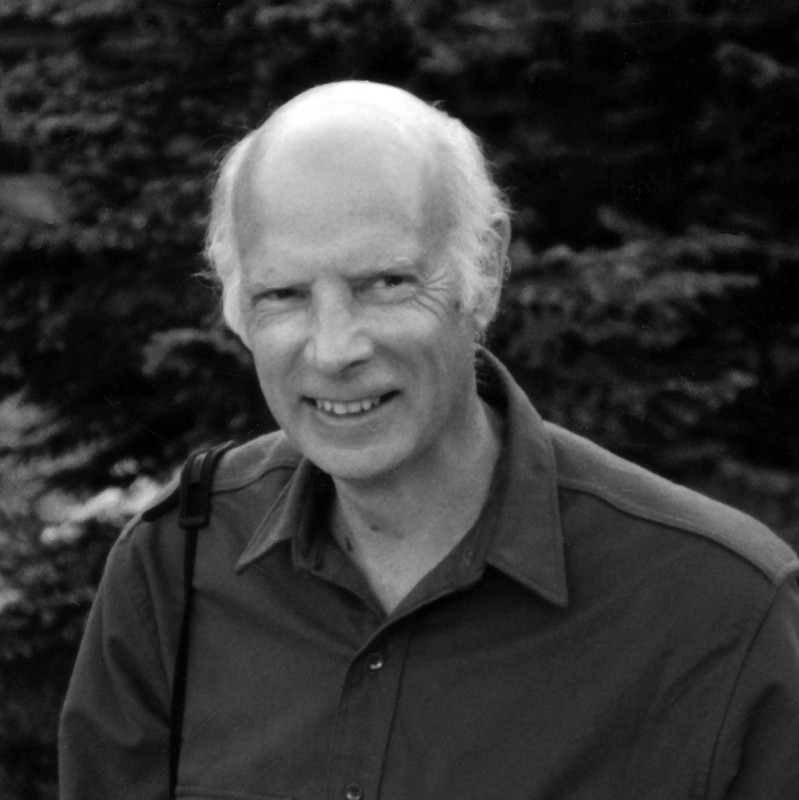 Prior to that, Cole served as executive director and CEO of the Sierra Club Foundation. He was a Senior Fellow at the Council on Foundations (1999-2000) and in 1999 received the COF’s Distinguished Grantmaker Award. In addition to serving on the Packard Foundation Board, Cole is currently a member of the boards for Colorado College, the Institute for Global Ethics, Planned Parenthood Mar Monte, The Stanford Theatre, and Philanthropic Ventures Foundation. Cole received both his undergraduate and MBA degrees from Stanford University and is the coauthor of The Complete Guide to Grantmaking Basics. Fred Setterberg is the coauthor, with Bill Somerville, of Grassroots Philanthropy: Field Notes of a Maverick Grantmaker, and author of five other books, including the award-winning The Roads Taken: Travels Through America’s Literary Landscapes and the recently published Lunch Bucket Paradise. He has been a staff writer for the East Bay Express and editor of Travelers’ Tales America, and has written for the New York Times, The Nation, and scores of other national and regional magazines. He lives in Oakland, California. Visit his website at www.fredsetterberg.com. This entry was posted in Uncategorized and tagged Colburn Wilbur, giving, philanthropy. Bookmark the permalink.